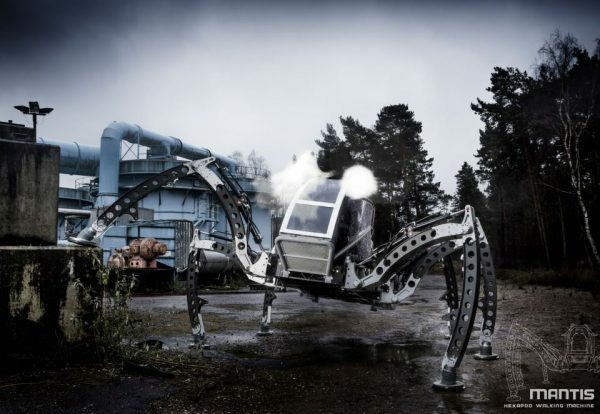 At first glance this giant hexapod robot looks like it has been in a film! Standing 2.8 metres tall, weighing a little less than two tonnes, you would think this hexapod is sluggish and clumsy. The Mantis is slow but in no way clumsy. Powered by a Perkins 2.2 litre hydraulic turbo engine, this machine is a force to be reckoned with. I love how it moves with ease and can manoeuvre over difficult terrain; it makes me think that this sort of machine could be seen in difficult situations, such as searching out explosive devices or exploring places normal vehicles cannot get to. This huge walking machine has been developed by Matt Denton of Micromagic Systems Ltd, with his team from 2009. He kept a build diary since 2009 and has tested prototypes until its first successful appearance at the Bestival UK in 2012. Micromagic Systems supplies equipment and services to the UK Animatronics industry. The Mantis can be piloted or controlled using remote Wi-Fi. 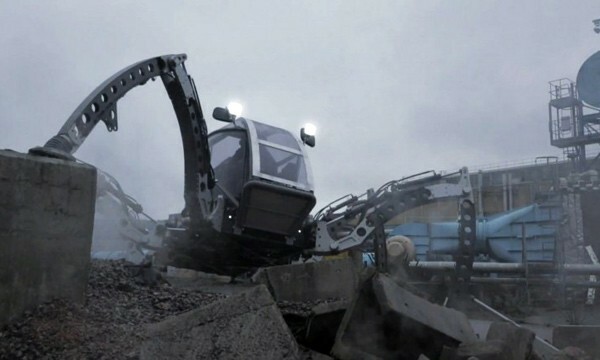 The computers and systems used to control this massive robot are amazing in their own right. Being able to move a large and heavy machine is not new but being able to make it dance and move gently over rugged ground is a great technological jump forward. The future of the Mantis Hexapod is not known yet, but for now it is available to hire, for sponsorship and events. You can take a look at the Mantis in action here! Matt Denton has said he has more ideas for the Mantis and he is working on other ideas too so let’s watch this space and see what they come up with next!